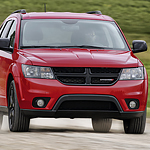 One step inside the spacious and impressive cabin of the Dodge Journey and you will understand why it continues to be one of the best-selling vehicles on the roads of Cheshire. This popular mid-size SUV comes equipped with everything that you need for an exceptional driving experience. Ram is known for engineering top-of-the-line pickup trucks, and it hasn't fallen short with the Ram 1500. The Ram 1500 is a popular light-duty pickup truck at Bedard Bros. Chrysler Jeep Dodge because it comes equipped with many features that enhance capability. Let's have a look at a few of its capability features. 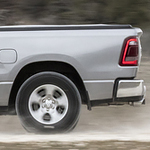 If you are interested in a heavy-duty pickup truck, the Ram 2500 is an ideal match. At Bedard Bros. Chrysler Jeep Dodge, we like to keep our consumers up-to-date about the models in our inventory. The Ram 2500 comes equipped a plethora of exterior features that enhance your capability. Have you seen the all new Jeep Cherokee? The 2019 lineup features a rugged yet stylish new design on the exterior with a front-end that really turns heads. 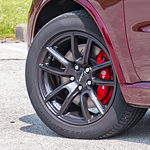 The body kit and wheels are all new in this latest version of the compact SUV, which US News & World Report gave top marks for reliability and safety. The Jeep Cherokee has a ton of features that drivers will love, including the dramatic lines and aerodynamic styling. However, it’s the base driver assistance features that truly make the exterior special on this Jeep Cherokee. 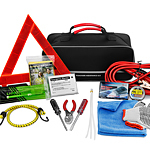 When you are on the road with your vehicle at any time during the year, you are likely going to run into tire problems. 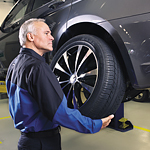 If your tires are a little old, they can be especially vulnerable to tire problems. Therefore, preparation is one thing that is worth doing in this case. 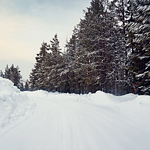 Sliding or fishtailing as it's called means that you are probably driving at the wrong speed. When you go too fast, your car's tires will start to turn on their own, causing you to spin. It's important that you keep to a speed under 45 mph. If this happens to you, you don't want to hit your brakes, as this can cause your car to slide more. The fact that the 2018 Chrysler Pacifica Hybrid combines regular gas economy with their electrical capabilities means that they will definitely sip the gas! Starting at just under $30,000, the 2018 Dodge Durango is a popular choice of auto consumers. 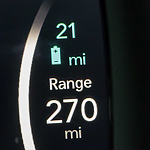 The 295-horsepower vehicle has an impressive gas mileage of 19 miles per gallon in the city and 26 miles per gallon on the highway. There are six models to choose from in 2018. The SXT, SXT Plus, GT, GT Rallye, Citadel R/T. and the Citadel Anodized Platinum. All of these models come with a 3.6 Liter V6 24 Valve engine and feature an 8-speed automatic transmission. The Dodge Durango has always been known for its towing capabilities. 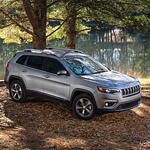 Available with four gasoline engines, the Jeep Grand Cherokee is essentially unrivaled in performance on and off the road. 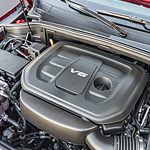 Engineered to generate up to 707 horsepower, the supercharged HEMI V8 engine surely places the model at the top of its class in capabilities. You can tow a maximum of 7,200 pounds with this 6.2 L engine block that's installed under the hood of the durable Trailhawk trim.